NOTE: Downloads are provided in a variety of formats for your convenience. The file type is indicated by the icon to the left of the download name. Software compatible with that file type is required in order to view those files. Many of our downloads are provided in Adobe Acrobat PDF format, and can be viewed using the free Acrobat Reader software, available for both PCs and Macs. Please note that many of the PDF Forms available here for download have the ability to be completed interactively. Just open the PDF after it has been downloaded to your computer, and begin typing in each field. You can use the tab key to move between fields. Once all the fields have been completed, you can save and print the form. Completed PDF forms can be sent via e-mail and retain the information. Select a category below to view available downloads. 5.5x8.5 size - updated for Connecticut Granges. PDF of the Map from the Presentation on Pomona Redistricting from July 9, 2017 in 11x17 Size for easy viewing. 8.5 x 11 Size - Interactive Form - This report must be filed with the Central Office. Small Sign-Up sheets for Granges - 8 to an 8.5x11 sized page for easy printing. 8.5 x 11 Size - Perfect for any occasion when Granges need to capture contact information. 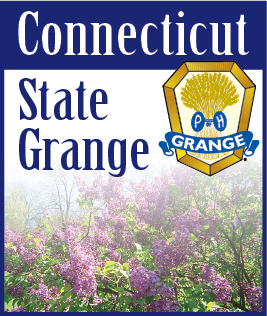 4 to an 8.5 x 11 sized page for easy printing - This sheet has all the CT State Grange contact information ready to go on a small-sized handout. 4 to an 8.5 x 11 sized page for easy printing - This form is perfect for drawings, display tables, and any place where a sign-up form for information can be used.